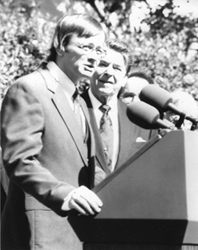 Follow the links to read more about him. 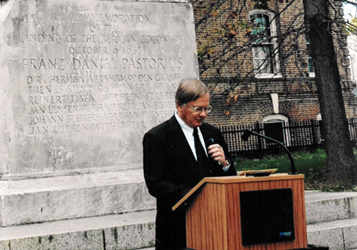 At left, a German-American Day program at the Pastorius Monument. 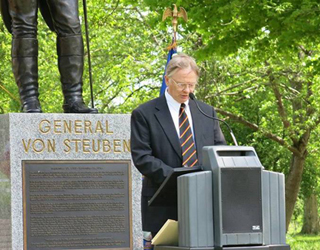 At right, a program at the General von Steuben Monument in New Jersey.